We are with you all the way! 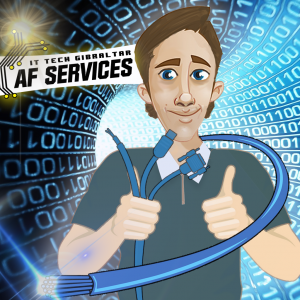 AF Services is able to offer you a one-stop-shop for all your IT needs – no matter what, we will make it happen! From analysis of requirements up to purchasing, installation, configuring, training and ongoing support of the solution. AF Services can also assist with improving your existing IT Systems to ensure they are running at peak efficiency. AF Services partners with other proven IT providers on the rock, providing a one-stop-shop for your needs and access to accredited and certified engineers for a complete range of technologies and IT Services. At AF Services, we will take the time to understand your business and provide a tailor-made IT Solution which will be flexible enough to grow with your business, whilst at the same time, not giving you technology you don’t need. Worry about you business, and let us worry about your IT. – Focus on getting your business – whilst we focus on the technical jargon and deliver an IT Service that your business needs. – Save money – you don’t have to pay a full-time employee, the average salary for an IT person is £28,000 per year. We have maintenance contracts from £200 per month, or just pay as you go with no commitment! – Benefit from an outside pair of eyes – External consultants see a wide variety of IT systems, and have a constantly evolving view of what works, and what doesn’t. It’s common for internal teams to have a narrower view of IT as they are only focused on the technology which you implement and do not have exposure to potentially beneficial solutions. Consultants are gifted with a sharp eye that can pin-point risk issues and recommend necessary countermeasures or actions. We understand that every client is different, every business is different and therefore our packages are tailor made just for you. We are confident that our service is comprehensive and will not lock you in to any contracts. We work with you to understand your business needs and provide advice on what IT Systems you should, and should not implement. We will draft proposal documents in plain English so you know exactly what you’re getting and how your cost effective investment in IT facilitate business growth. We will manage your IT installation from the ground up, and will deal directly with any third parties that are required, including Internet Service Providers, Electricians, IT Experts, Data Cable Installers, Equipment ordering and Delivery. If your business needs an app, on mobile or PC then we will organise development of it for you, to your specifications. We will work to minimise any vulnerabilities and risks of your systems from hackers, viruses, data leaks and will discuss all IT Security requirements with you. We will provide on-site support to your end users no matter how big or small the problem or request is. No call centres, no hold queues. You will have direct lines to local technicians who will be there to help you out. Our support contracts are tailor made to your business to ensure you sure you are getting value. We believe the best service is provided at-desk. 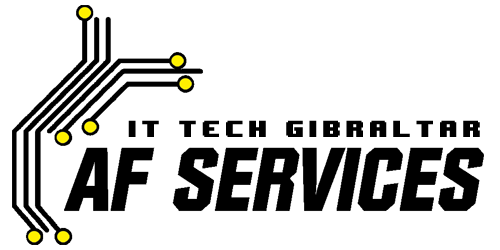 However if you are not local to Gibraltar, then we can also provide remote service and support. We will continuously work with you to ensure your IT Systems are being used to their full potential and ensure you are getting full value from your investment. You are not dealing with a one-man-band. AF Services partners with other established IT companies local to Gibraltar to ensure a comprehensive one-stop-shop for all your IT needs. Gibraltar is a wonderful place. It’s virtually crime free, and everyone knows each other. With this assurance, its easy to become complacent when it comes to securing your organisations IT systems. But did you know that over 75% of IT security breaches come from inside the organisation. Only 16% of these internal breaches are due to malicious intent of your own employees. The rest is simply human error and mis-handling of information they have access to. All reports will highlight any potential vulnerability and recommendations for action for each section. Ask yourself, what is the cost to your business if your information is lost, or falls into the wrong hands? From just £500, can your business afford not to be assessed? Contact us for more information including a full report template. 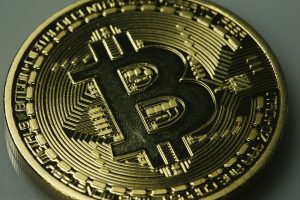 Interested in joining the Bitcoin hype? Read on! We can offer you advice on how you can set up your Bitcoin account(s) or we can set one up for you.